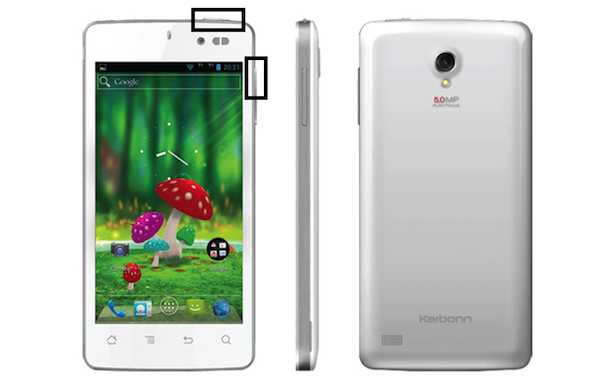 The S1 Titanium is a popular and powerful quad-core Android phone released in January 2013 by Karbonn Mobiles. If you own this phone and suffer from unresponsive applications or degrading speed between tasks, it might be time to wipe the phone clean and perform a factory reset. This procedure will erase all your personal data, restoring the S1 to its original out-of-the-box settings. After the hard reset, any problems you might have noticed coming from corrupted application files or a resource-hungry CPU should be gone, and you can start anew. This is also very useful for those who want to sell this phone without giving away their personal data and information. 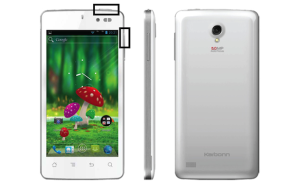 Hard resetting the Karbonn S1 Titanium can seem like an excessive solution, but it is a viable option for phones in heavy daily use. Small software errors normally collect through application use over time, and a factory reset will make the phone rewrite its program data as if it was brand new. This will delete everything saved onto the phone’s memory, so any important data must be backed up onto a computer or other external device or it will be lost forever. Resetting this phone to its factory settings is simple, the picture on the left showing the two buttons you need to press to start the process. Be sure to have the phone charged to at least 70% of its battery life before performing this procedure. It’s also a good idea to remove the SIM card and the SD card if you have one. After the phone is rejuvenated, you’ll have to restore all of your personal data, so it can be very useful to take some time and organize your files and apps beforehand. Press and hold the Volume Up key + Power Button at the same time. A green screen will appear after a few seconds. Continue holding the keys until a red screen appears. This is the phone’s recovery mode. 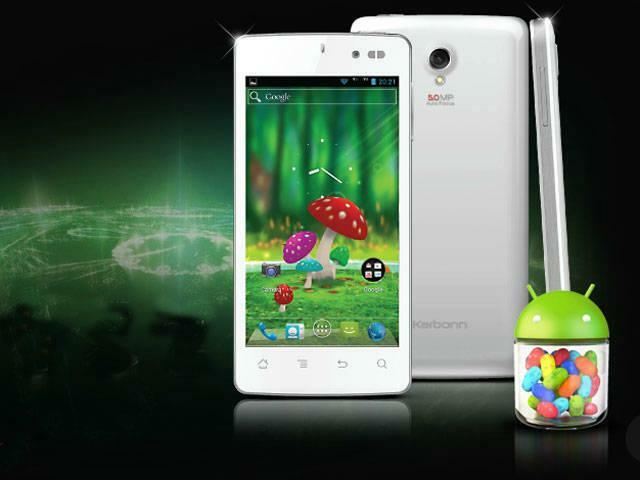 Reboot your device, restore your personal data and enjoy your like-new Karbonn S1 Titanium!